The fuel pump went out, and now the car won't start. This happened after running out of fuel on the freeway. I added gas, but it still won't start. The fuses are fine. Hi, if you run tend to run the car all the way down to empty before filling up, the fuel pump will experience more wear and tear. The fuel in the tank helps to keep the pump cool and anything below a quarter tank will cause the motor to run warmer than normal. 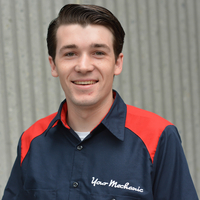 A certified technician, such as one from YourMechanic, would be able to help you replace your fuel pump. Be sure to keep your tank at least a quarter full to keep your fuel pump running as long as possible. Q: Can a 1999 Ford Explorer battery and and alternator go into a 2000 Ford F-150?